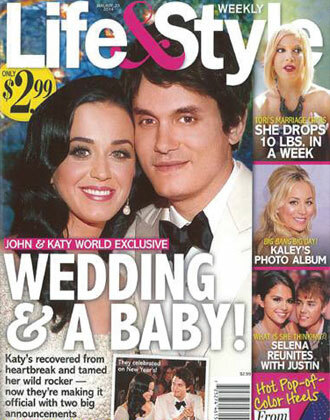 BeautyBlitz is a popular beauty website that is run by founder Polly Blitzer and her team. BeautyBlitz is considered to be the insider guide to all things beauty for a beauty insider. Polly believes that she and her team are transforming the way the world looks at beauty one lipgloss at a time and the popularity of BeautyBlitz certainly speaks volumes about the kind of content that this exciting and unique website has to offer. 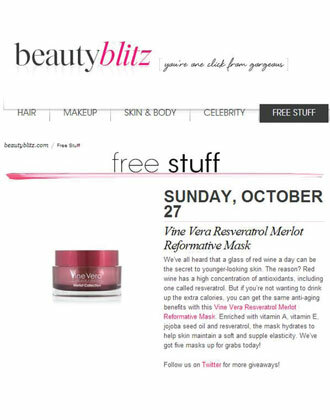 BeautyBlitz recently featured the Vine Vera Merlot Reformative Mask in the Free Stuff section. 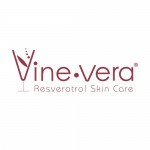 The author introduces Resveratrol and Vine Vera Skincare to the readers and mentions that the Vine Vera Merlot Reformative Mask has been formulated using ingredients like Vitamin E, Vitamin A, Jojoba Seed Oil and Resveratrol. 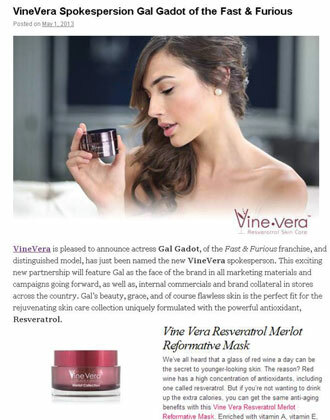 The author also reviews this product from Vine Vera and states that “the mask hydrates to help skin maintain a soft and supple elasticity”. 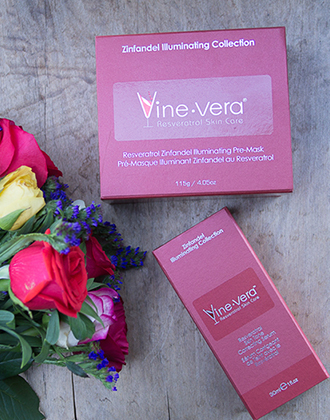 What’s more, BeautyBlitz offered readers with five Vine Vera products as a part of the Free Stuff Giveaway. 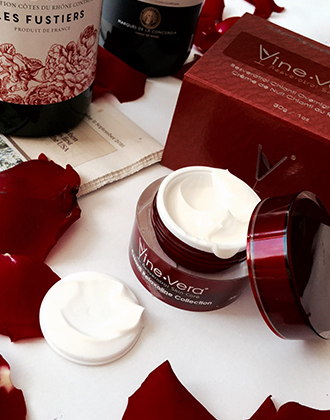 Vine Vera is delighted that its products were made a part of the BeautyBlitz Giveaway and we hope that customers who received the Merlot Reformative Mask had a wonderful time using the product.